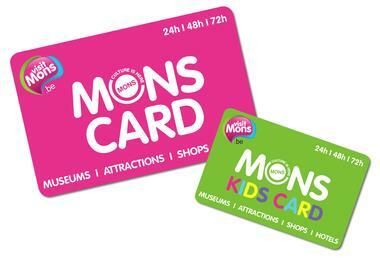 Located 200 metres from Mons train station, Francart is a shop you must go to in the city. 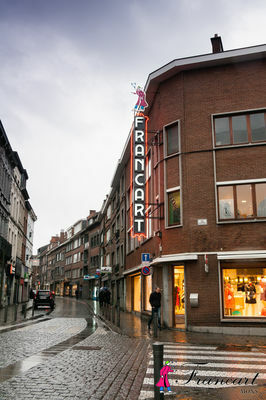 Indeed, the Francart in Mons was established in 1951 and the shop – after having manufactured raincoats from 1932 to 1956 – remains a family business which has diversified while continuing to sell customised and high-quality items. 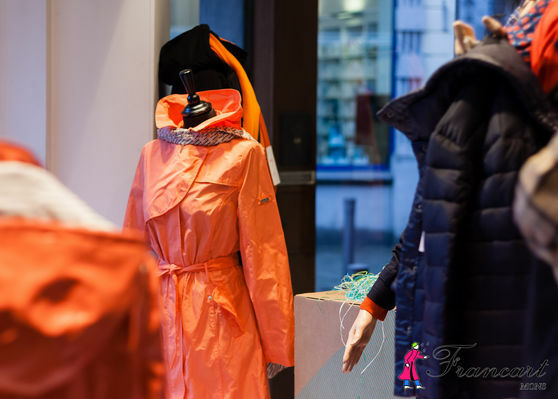 Ladies, at Francart you will find raincoats, very naturally, but also elegant casual wear and also outfits for festive occasions. Francart stocks ladies sizes 36 to 56 (European sizes; UK sizes 8 to 28), provides alterations and it is easy to park near the shop. 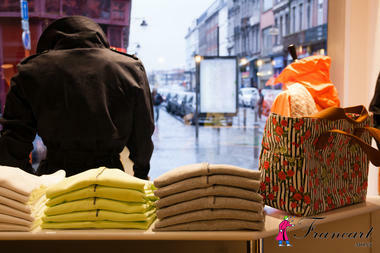 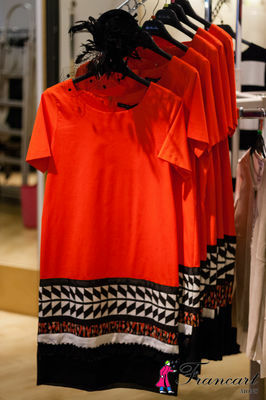 The shop is open non-stop every day, except on Sundays and public holidays, from 9.30am to 6.30pm. After-sales services provided. IT'S WORTH GOING OUT OF YOUR WAY TO SHOP HERE!!! 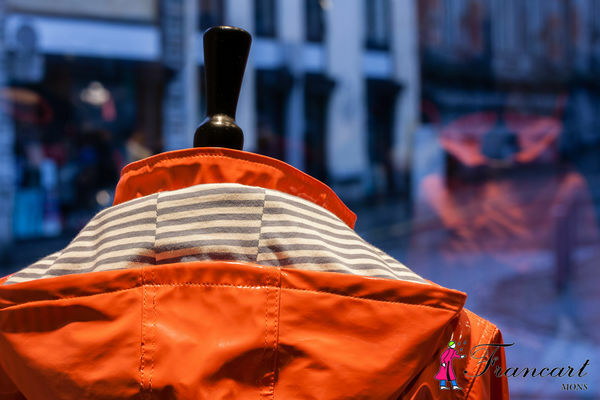 Life's too short to wear dull clothes. Unique items were designed and made in Belgium, exclusively for the Mons 2015 European Capital of Culture series of events.